VATICAN CITY (CNS) — As World Youth Day in Panama draws near, organizers said they are prepared to make young people from around the globe feel right at home. 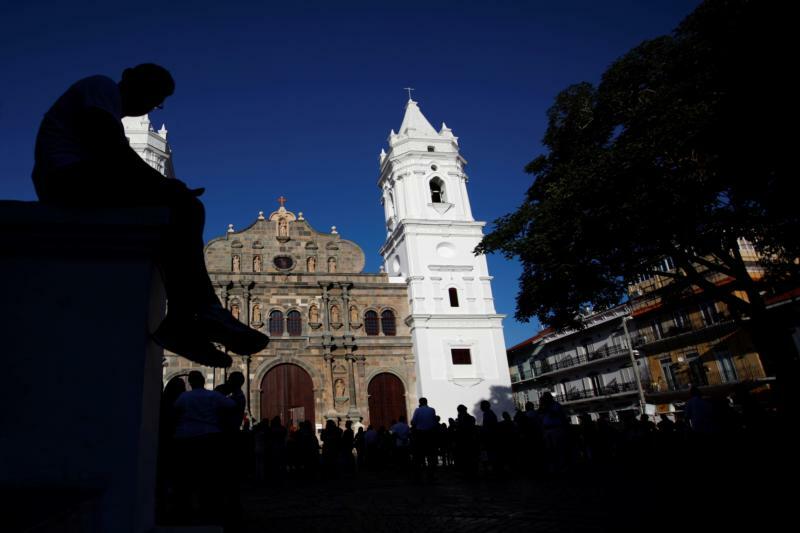 While warm temperatures will greet thousands of young people in Panama, Father Romero Aguilar, WYD general coordinator, told Catholic News Service he hopes that the warmth of hospitality also will make them feel welcome. Father Aguilar, along with Archbishop Jose Domingo Ulloa of Panama, Danubia Allard, the Panamanian foreign ministry’s liaison for WYD, and Miroslava Rosas, Panama’s ambassador to the Holy See, were among the dignitaries and church officials briefing journalists Dec. 11 on the upcoming event and their preparations to welcome Pope Francis and the myriad of young men and women expected to attend. The pope’s visit to Panama Jan. 23-27 will be his 26th trip outside of Italy and his third World Youth Day. During his visit, the pope will celebrate a penitential liturgy Jan. 25 with young inmates at Las Garzas de Pacora Juvenile Detention Center in Pacora. He will also visit Casa Hogar el Buen Samaritano (Good Samaritan Home), a center dedicated to helping people with HIV-AIDS. The pope’s meetings with young people who are unable to take part in the public WYD activities is a response to the Gospel’s call to clothe the naked, visit the sick and comfort the imprisoned, the WYD organizing committee said in a Nov. 20 statement. From the United States, by Dec. 19 over 10,000 young pilgrims had registered to attend the events in Panama and the number continues to climb, said Paul Jarzembowski, World Youth Day USA coordinator and assistant director of youth and young adult ministries for the U.S. Conference of Catholic Bishops. While holding the event in January is challenging for young people in the United States, “this is not the lowest number of pilgrims who have attended a World Youth Day from our country over the past 30 years,” Jarzembowski told CNS. “Regardless of the final number, I am overjoyed that more than 10,000 young people from the U.S. did say yes to the invitation of the Holy Father to join him in Panama for this pilgrimage of faith,” he said. Following the pope’s lead in meeting with young people unable to attend the WYD festivities, events are being planned in major cities across the United States to coincide with the gathering in Panama. “No matter how one connects, it is important that this January, every single young person in America is journeying together in solidarity with those pilgrims who are making their way to Panama,” he said. However, for organizers of WYD, preparations to receive young pilgrims to the country is more than just an exercise in hospitality, they said. It is a means of spreading the Christian message of welcoming those in need. The plight of Central American migrants making their way to the U.S. border made headlines around the world in November and brought to light the dire circumstances that forces men, women and children to embark on such a treacherous journey. Father Aguilar told CNS that the warmth felt in Panama is not only “climatological but also human,” and he said he hoped people opening their homes to young pilgrims will encourage countries to open their doors to those in need.